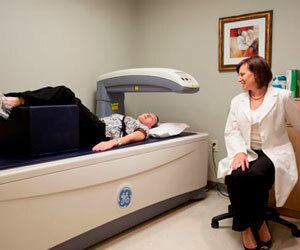 DEXA scan is a non-invasive, accurate, and inexpensive way of measuring the bone mineral density in your body. It is the most reliable and reproducible imaging modality for diagnosing and helping your physician monitor the treatment of osteoporosis. Osteoporosis is a disease in which the bones become weak and have an increased risk of fractures, such as those of the hip and spine. While many of these fractures may be healed, others may lead to chronic pain, disability, and even death. Over 40 million Americans either have or are at high risk for osteoporosis. With early detection and new treatment options, osteoporosis does not have to be a debilitating disease. DEXA scan is recommended for all women aged 65 and older, all postmenopausal women who have additional risk factors (e.g. smoking, low bone weight, poor health, alcoholism, inadequate physical activity), and women who have been on hormonal replacement therapy for prolonged periods. 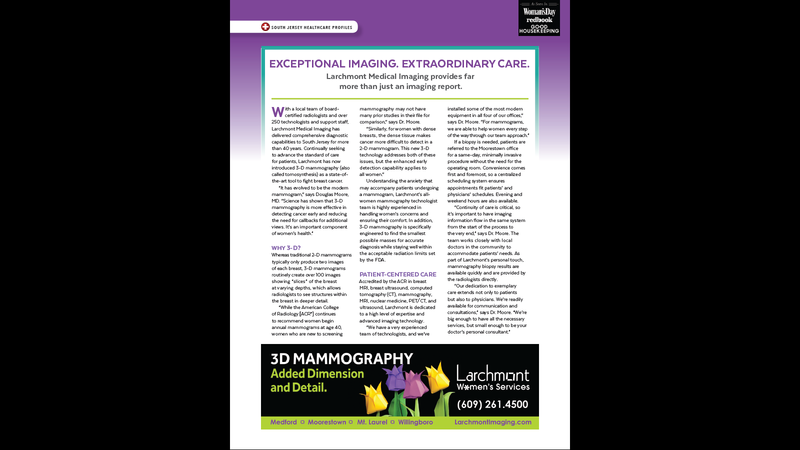 Unlike many other radiology examinations, no special preparation is required. Avoid taking any calcium supplements and/or antacids for 24 hours prior to the exam. Inform your physician if you've had a recent barium exam, IV contrast exam or nuclear medicine exam for 10-14 days prior to the DEXA scan. On the day of the DEXA scan, wear loose, comfortable clothing that has no metal buttons, zippers or buckles. DEXA scan is a painless exam. You will rest comfortably, lie still and breathe normally on a table for 20 minutes.